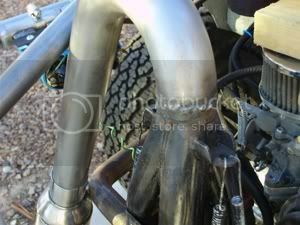 AzBaja.com, Home of the VW Baja Bug -:- Baja Forums -:- VW Volkswagen Bug, Baja, Bus, Sandrail and Thing -:- VW Volkswagen & Baja Bug General Discussion -:- VW baja bug Exhaust options? 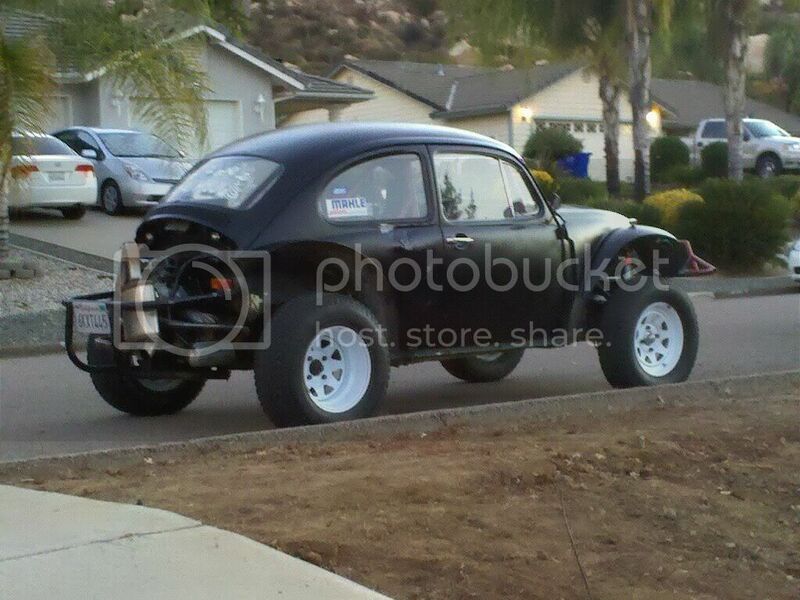 Baja Forums -:- VW Volkswagen Bug, Baja, Bus, Sandrail and Thing -:- VW Volkswagen & Baja Bug General Discussion -:- VW baja bug Exhaust options? 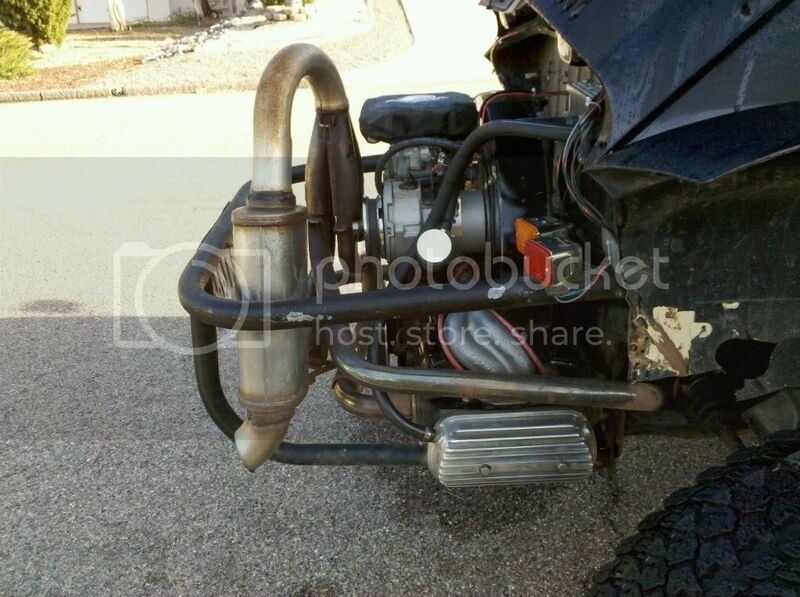 VW baja bug Exhaust options? 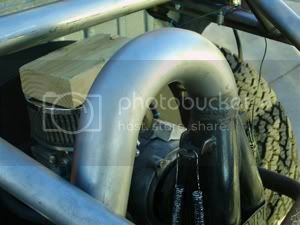 Post subject: VW baja bug Exhaust options? I'm fairly new to bugs but I've spent hours looking for the right exhaust with no luck. I like the stinger look and how the pipes are up and out of the way allowing access to the motor but even with a baffle these seem too loud for me. I want to hear the radio...have a conversation...avoid cops on the street...etc. Plus from what I've read the stinger baffle is held in place by drilling a hole in the stinger and shoving a bolt through it? Umm...yeah no. 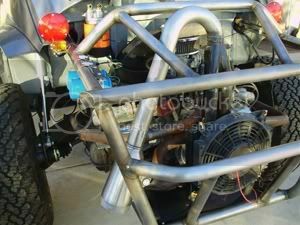 The baja quiet packs appear to block access to the motor and in my opinion is just kinda ugly with that huge muffler. The bazookas systems are said to be loud and sometimes interfere with a dual carb setup. I've had supertrapps on my dirtbikes in the past and they seemed to somehow remain loud and choke the engine...worst of both worlds. Well, the sound is perfect! Mellow, deep, quiet when you're cruising, loud when you're on the gas. ....but it looks pretty stupid and it's too heavy and tall to stay there. So has anyone out there done anything similar to this? 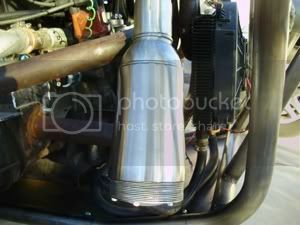 I've seen quite a few cheap small mufflers on ebay that I might try next if I can find one with a 2" inlet. 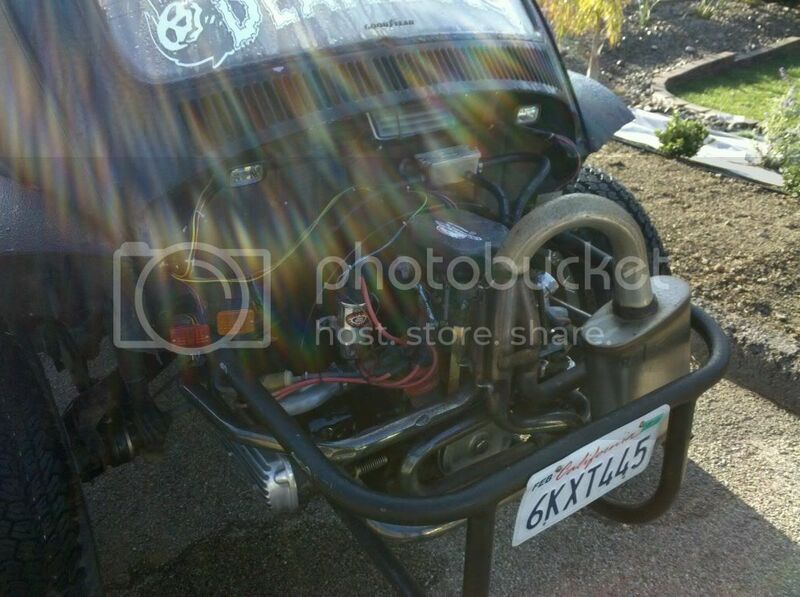 Post subject: Re: VW baja bug Exhaust options? i bought the car with this but i think its great... it's a magnaflo.. I had the Empi exhaust with the stinger. I bought a j-bend exhaust pipe from Jegs and the racing exhaust tip from Appletree. A little measuring, welding and time is all it took to get this setup.